Have you ever heard frogs or toads calling in an urban environment? Or spotted a secretive salamander as it makes it way to an urban pond? If you live in Calgary, Alberta, the Miistakis Institute is interested in your observations. 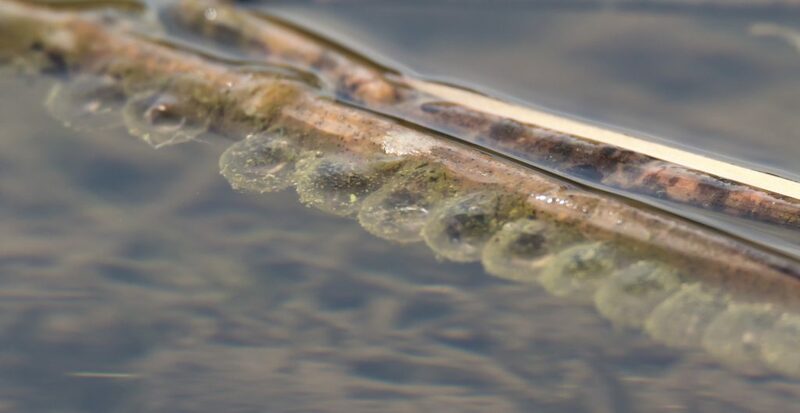 With Miistakis’ partners, we’ve designed a citizen science program called Call of the Wetland to document amphibian observations throughout the city. Worldwide, wetlands are disappearing. Calgary has lost 90 per cent of its pre-settlement wetlands. Urban areas in particular are experiencing a rapid decrease in amphibian populations. Wetland loss significantly impacts biodiversity and important ecosystem services, such as water filtration and flood and drought mitigation. 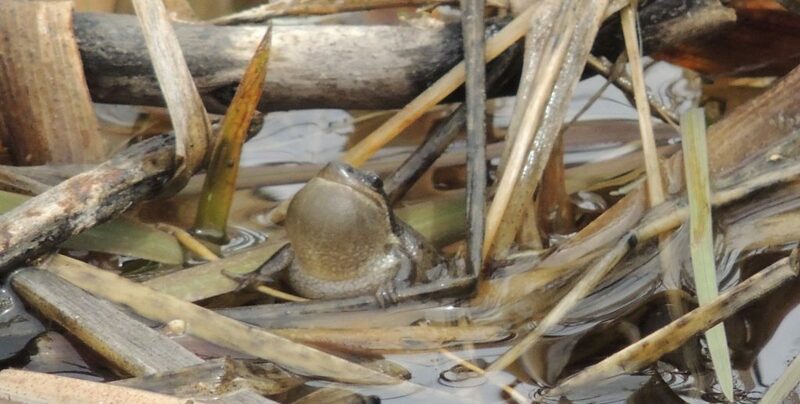 A rare shot of a boreal chorus frog in mid-call caught by a Call of the Wetland volunteer. Photo by Jen Demone. We need to better protect, maintain and restore our wetlands and better understand the impacts to urban wetlands. Call of the Wetland engages citizens to monitor amphibians ― an important indicator of wetland health. The last three are listed as species of special concern under COSEWIC. 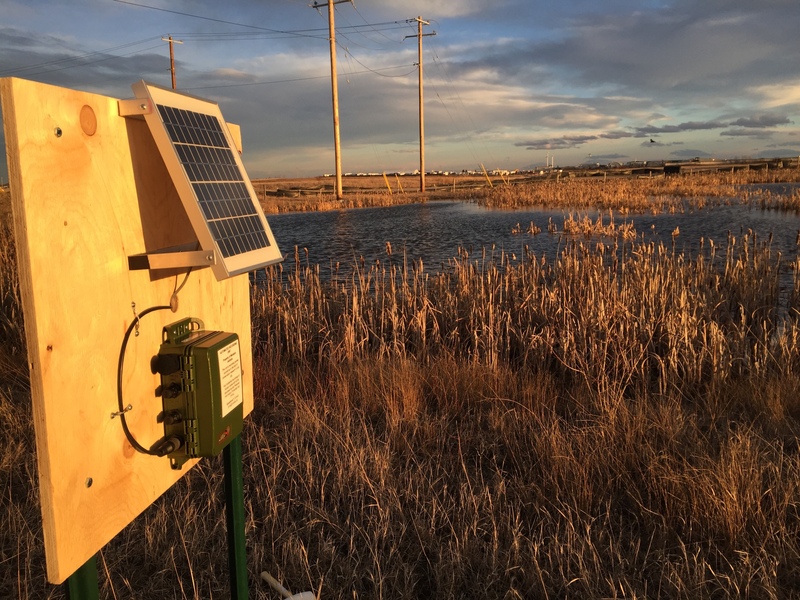 Because not much is known about which species persist in Calgary, volunteers are collecting valuable data that will be shared with local and provincial decision-makers. This information will help to inform decisions on urban development and wetland management. 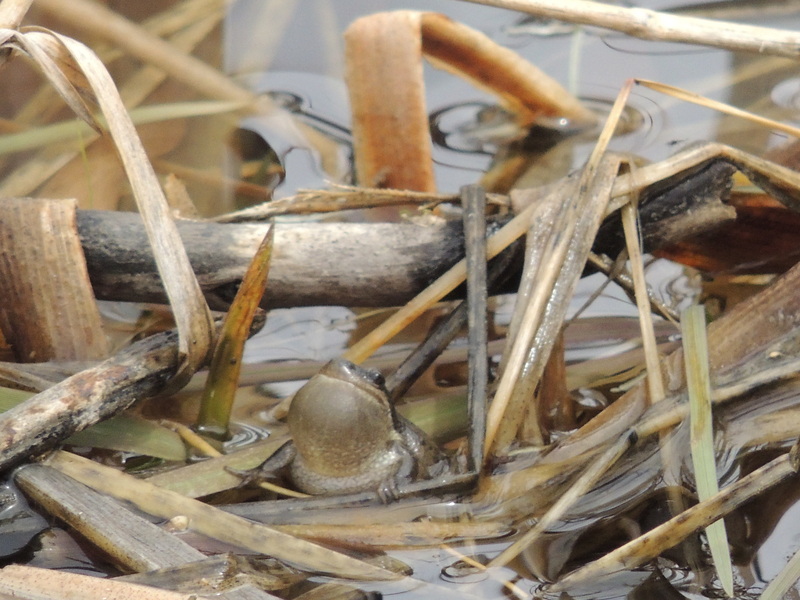 In 2017, volunteers confirmed the presence of three amphibian species in wetlands across Calgary. Because each amphibian species looks and/or sounds quite different from one other, they are easy to identify, meaning anyone can volunteer. Our acoustic recording units, which record amphibian calls at eight wetlands, confirmed that volunteers with different experience levels were over 90 per cent accurate in their species identification. Now in our second survey season, we’re continuing to recruit volunteers. 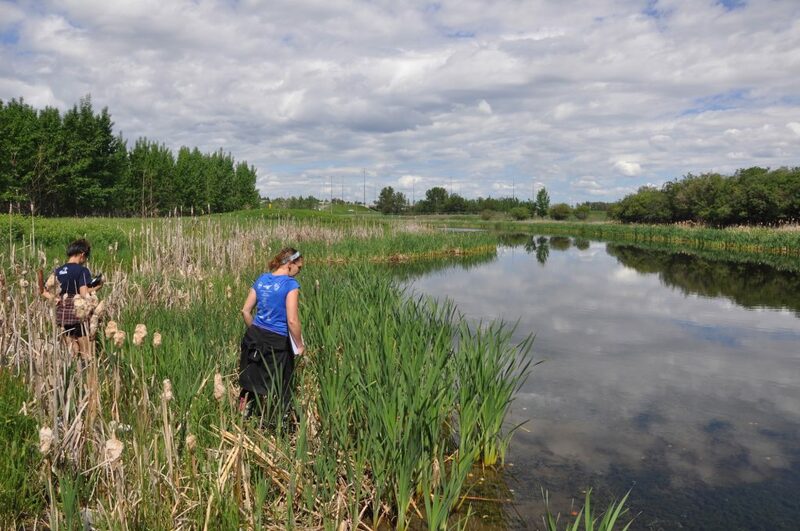 Participants can download our Call of the Wetland app to sign up for a survey time slot at one of 52 pre-selected wetlands in Calgary. Or, they can submit incidental observations from any wetland in the city. 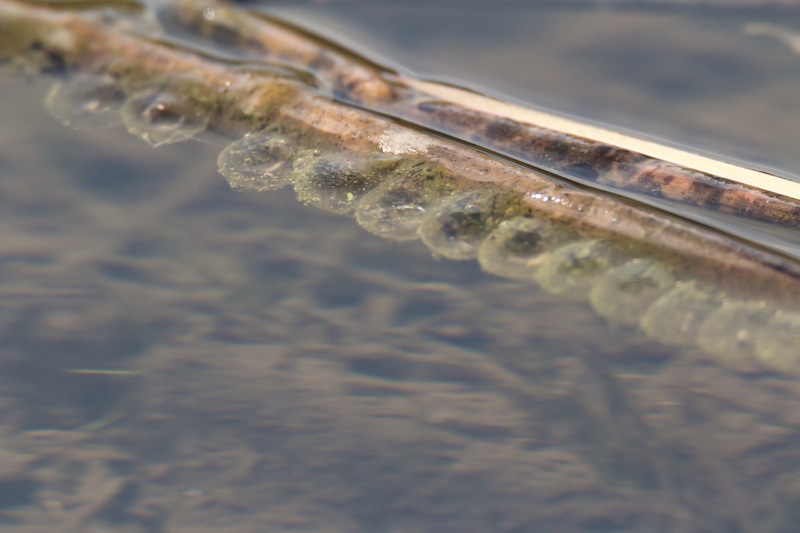 Visit a wetland anytime during daylight hours to visually scan wetland edges in search of eggs, tadpoles and adult amphibians. If you like to stay up late, visit a wetland after dusk to listen for frogs and toads. You can even scan the water with a flash light in search of nocturnal salamanders. Let us know what you observe (including if you don’t see or hear anything) by reporting observations through the app, and email us with any questions. 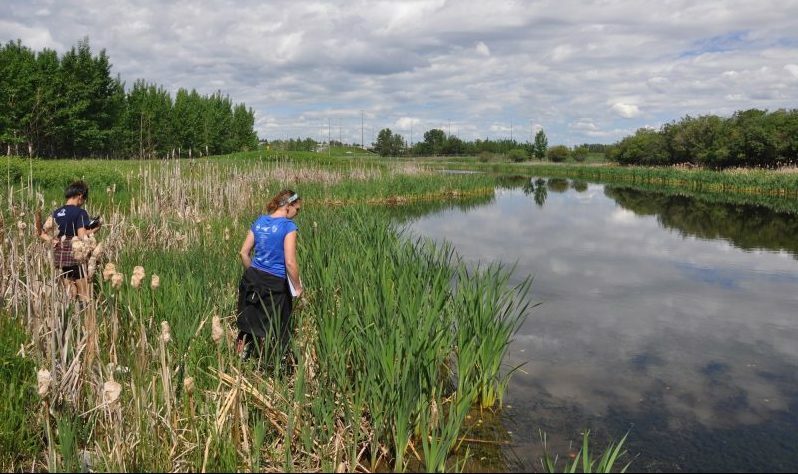 With the help of citizen scientists, we can gather the data needed to better understand the health of urban wetlands in Calgary. Together, we can build a knowledgeable community willing to take action to protect our valuable natural resources in urban areas. Nicole Kahal is project coordinator with the Miistakis Institute, a not-for-profit applied research institute based in Calgary, Alberta. This article was originally published on Land Lines, the Nature Conservancy of Canada’s blog. Biology and Life Sciences, Communication, Education, and Outreach, Environmental and Earth Sciences, NCC Alberta, Amphibians, Animals, citizen science, conservation, habitat, Miistakis Institute, Natural Conservancy of Canada, NCC, Nicole Kahal, species, water, wetlands, Wildlife. permalink.